Amino Acids are specially formulated and scientifically balanced for all athletes. MET-Rx Amino 1500 contains a balanced blend of free form and peptide bond amino acids and have been formulated to offer optimum utilisation. 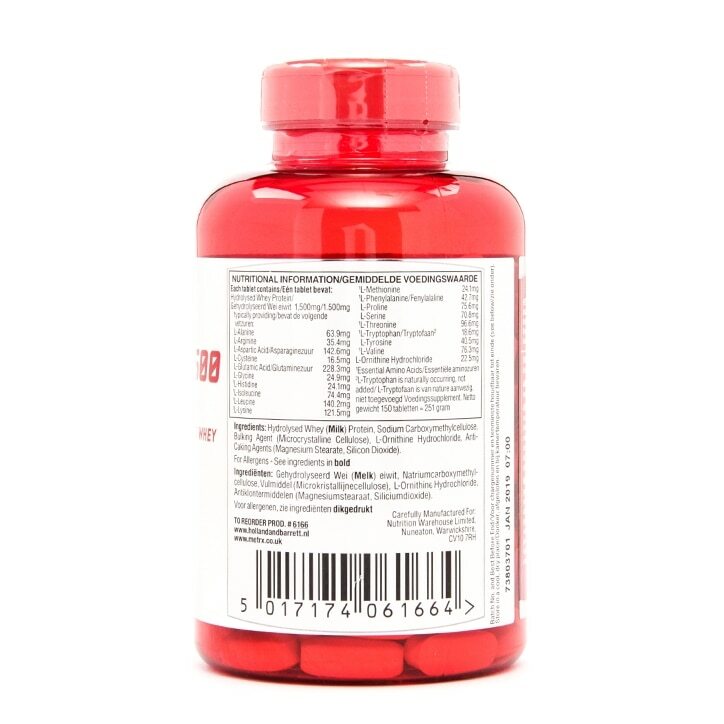 Take two to three tablets on an empty stomach around 30 minutes before your workout. Do not exceed stated dose. Hydrolysed Whey (Milk) Protein, Sodium Carboxymethylcellulose, Bulking Agent (Microcrystalline Cellulose), L-Ornithine Hydrochloride, Anti-Caking Agents (Magnesium Stearate, Silicon Dioxide). 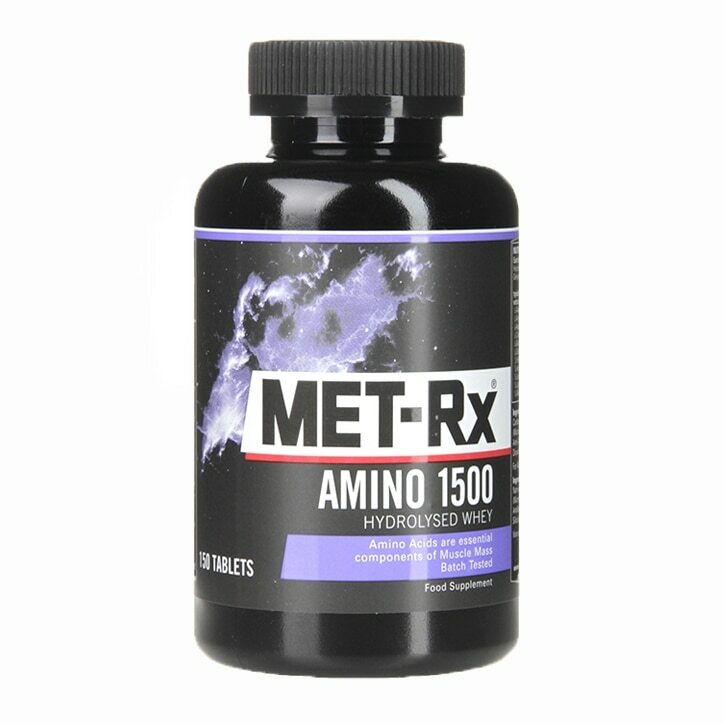 MET-Rx Amino 1500 Hydrolysed Whey Tablets is rated 4.0 out of 5 by 1.